Point of Sale software user meeting tour starts today | A blog about smart POS software for independent small businesses. Our national Point of Sale software user meeting tour kicks off today in Canberra. We are excited by the opportunity to meet face to face with hundreds of our customers, to share retail insights, to show how to access more business benefits from our software and to listen to questions and suggestions. We are proud to lead in each of our respective marketplaces in running face to face user meetings. The user meetings provide us with a wonderful opportunity for one on one discussion with many of our customers, away from the group session. This can give us even more insights to help us better serve and to help them get more from our software. The meetings will start with the retail insights gained over the last two weeks at the Consumer Electronics Show trade show in Las Vegas and the National Retail Federation Conference and Expo in New York. Valentines Day is very important to jewellers around the world. We know because our Jeweller software is being used in hundreds of jewellery businesses. By using our software, jewellers are able to more easily promote Valentine’s Day offers to existing customers, reward shoppers through their loyalty program, track sales, track employee performance, track inventory and promote up-sells during and after then purchase. By going beyond average or traditional Point of Sale functionality and using facilities in our Jeweller specific software, jewellery businesses are able to achieve a beyond average or traditional result. Indeed, it is around a major jeweller retail season such as Valentine’s Day when jeweller specific software shows its real value to jewellery businesses over the shelf software such as MYOB or other non retail channel specific packages. Take the example of serial number tacking. This is important for a range of pieces sold in any leading jewellery business. Offering a serial number tracking service demonstrates a point of difference and a level of care which can help demonstrate value of supporting the business. It could be the nuance in the sales process which guides a higher priced purchase item. It could also be the difference which brings the shopper back again for another season. Built into our jeweller software is a range of facilities smart jewellers are using not only this Valentine’s Day but all through the year to drive excellent business results. Lebara Mobile Mega Plan $9.90, $19.90, $39.90, $49.90 and $59.90. Cash flow. Spreading the purchase price of the system over several years enables you to preserve cash in your business for other productive purposes. Tax deduction. As the system is being used for business, the lease payments are fully tax deductible. Flexibility. Some leasing agreements can permit the replacement of hardware for newer hardware easily and within the agreement. Warranty protection. Some lease agreements can cover faulty computers and provide backup hardware in the event of a major failure. We do encourage retailers to make their own assessment and negotiate funding arrangements which suit their personal and business needs. We have funding organisation we can connect our customers with if they wish. The key message is that purchasing a Point of sale system can cost just a few dollars a day, a fraction of the tangible benefits usually derived from the proper use of the software. Tower Systems last week published details of a hardware upgrade offer to its customers. The special offer is for a limited time and is available on HP hardware. The additional bonus is that all HP hardware comes with a three year on site warranty. So, we’re offering leading brand name high-quality hardware at very competitive prices and with a three year on site warranty backed by HP. Hardware deals don;t get much better than this for small business retailers. In today’s marketplace where online retailers have a (real or perceived) price advantage as well as an operating cost advantage, customer service is vital for bricks and mortar retailers. This is very true in the bike retail space, especially the premium bike retail space where bikes can sell for several hundreds dollars through to many thousands of dollars. More and more bike retailers are tapped for their excellent product knowledge only to find that the sale is completed online, with another business and leveraging the knowledge of the bricks and mortar bike shop expert. Tower Systems is on a mission to help bike retailers leverage product knowledge and excellent customer service skills to retain more sales in-store and to stop them migrating to the online businesses. We have a range of ways we help bike retailers achieve this in our Bike Shop management software. By more thoroughly integrating our bike shop software with a bike retail business, the business owner and staff are able to deliver better customer service, reward loyalty, bring customers back more often and stock more of what is selling and less of what is not. Being able to take a walk-in sales query and turn this into a certain sale is vital to the success of today’s bike retailer. Our software can help achieve this by bringing structure and certainty to the sales process. We can create points within the business where prospect details are captured and managed in such a way as to build more certainty around actually winning the business. Bricks and mortar bike retailers can compete with online businesses … by being smarter, more efficiency and tracking more activity within the business. beyond selling our bike shop software, we are committed to helping bike retailers prosper. Beyond the pleasure enjoyed by the bikes they sell there is also the community fitness factor. They provide a wonderful service with which we are proud to be associated. Earlier today we published the results of our latest newsagency sales benchmark study to our newsagent customers. This study continues the most comprehensive study of sales data ever undertaken in the newsagency channel. Thanks the active participation of more than 250 newsagents, the dataset is the largest ever. The result is a valuable insight not only into the sales performance of the channel but into the performance of many individual stores. A core mission of Tower Systems is to get its customers to make more valuable use of its Point of Sale software in driving business outcomes. The newsagency sales benchmark study is one way we work in pursuit of this goal. Communication is vital for any software company but even more so for a company which serves small and independent retailers. This is why we have created a new communications role in the company. By new role we really do mean new. This is a role unlike any other we have had previously. It will play a key role in how we communicate … across multiple platforms from the traditional to the non traditional. We have received an excellent pool of candidates and have commenced reviewing these. Our hope is to start interviews next week with the new candidate to be on board by mid February. Once in place, the new role will enable us to better communicate with our existing customers and to better reach out to prospective customers. It will better focus our relevance and share our narrative. Creating a new role, adding to the head count, is a good measure not only of how business is going for us but also of how we expect business to go. we are excited for the opportunities this new role will bring. 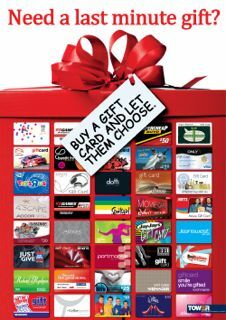 We are the only newsagency software company providing these additional resources with which our newsagency software customers can more easily promote and sell the Blackhawk gift card range. In addition to two gift card posters already available for our customers, we have new collateral in development by our marketing team. These will be made freely available to our customers. We believe that it is important to not only create good software but to also facilitate the use of this so that our customers can make the most of the software. This is another difference delivered by Tower Systems. Yesterday we held another of our monthly help desk team monthly review meetings to discuss call activity, review performance, consider customer feedback and talk consider forthcoming software enhancements. These regular meetings are invaluable to the quality of the help desk services we provide retailers who use our Point of Sale software. Focused on data generated by our internal CRM system, we look at customer call traffic from a range of perspectives, to help us understand the reasons for calls and actions we might take to improve the customer experience. By sharing the comprehensive business performance data with all help desk team members we help inform their own decisions each day and invite their suggestions on changes we could make. With around 2,500 small business retailers relying on our help desk services we take very seriously the role we play in their businesses. We appreciate their commitment and want to respect and appreciate this by genuinely helping them get more from their technology investment. While our monthly support team meeting takes our support services offline,except for urgent calls, for an hour and a half, the benefits for the remainder of the month are considerable and valuable not only to us but also to our customers. The Tower Advantage TM is many things. Included in the mix is our high quality and timely support. 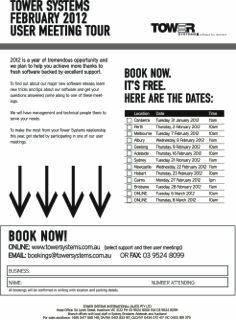 We are hosting four free online training workshops on parts of our Point of Sale software next week. This is in addition to the face to face user meeting and training series which starts this week. Access is completely free including the phone call we make for audio participation. You get the video content from any screen with internet access. People can access the workshop at work, from home or while mobile. This is another value-add service from Tower Systems which demonstrates a big difference between software companies. We are most appreciative of the feedback we are receiving from our beta release customers. They are playing with the latest release of our Point of Sale software and sharing with us their experiences and feedback. Given the scope of changes in the update and the value of the changes feedback at this stage is vital to ensuring that we get it right prior to commercial release. With such a good track record for software stability, getting it right, through a robust beta program, is critical to our continued success. So, to our beta program members ... THANK YOU! The latest software for garden centres and nursery businesses from Tower Systems has been helping drive a more successful summer thanks to a range of smart business management tools. Beyond the traditional Point of Sale facilities which streamline sales and gather accurate trading data, the software is being used by garden centre and nursery managers to leverage existing customer traffic for more sales. Using a suite of clever and integrated tools, the Tower Systems software is helping attract shoppers back in store as well as helping to encourage shoppers to add to their basket while in-store. In just these two areas alone the software is able to pay for itself by promoting the business without any additional labour investment. Garden centres and nurseries are ideas places for driving sales efficiency. The best way of achieving this is asking the right question or making the right offer at the right time. Usually, this is based on what a customer is already committed to purchasing. We have garden centres using our loyalty marketing and other built-in marketing tools to drive purchase efficiency and thereby build a stronger and more successful business. A key difference offered in this area of retail business development by Tower Systems is advice and assistance in leveraging the facilities of the software. It is part of the company’s commitment to help retailers get more from their software than a cash register. Too often software companies ignore this level of after sales service, leaving their software being only partially used. While the retailer needs to engage, the software company has to offer the additional training and other assistance to open the door for the engagement. NZ Point of Sale user visits a hit! Four members of our help desk and training teams have just returned to Australia from three days in Auckland visiting with retailers using our Point of Sale software. They have returned with stories of gratitude from our customers for the free visits, the training we provided and the assistance given in helping them get more from using our software. We are pleased to have been able to make time in our schedule for the visit not only to provide our customers with the opportunity but to provide our team members to work together on a project outside Australia in this way. The next phase of our face to face POS software user contact for 2012 is our national user meeting tour. This starts on tuesday in Canberra. No software company in our small business retail marketplaces of newsagents, jewellers, bike retailers, gift shops, homewares shops and garden centres will have more face to face retail contact than us this year. While plenty in Australia have a day off today to celebrate our national day, in the retail sector many do not. Major shopping centres choose to open today and this means that retailers must open as well – it is usually a requirement of their lease. Because of the high cost of loabour on a day like today, often close to $50 an hour, small business retailers will tend to work the day themselves, to save costs. While it would be reasonable to argue that these small business retailers have chosen to go into business for themselves, there are opportunities in the calendar for shopping centre landlords to grant a day off. Australia Day is one such day. It is not a big shopping day – go to any shopping mall and see for yourself. Aussies will be at the beach, gathering around a BBQ or in the pub. Not shopping. Closing on Australia Day to give not only retail employees but small business owners a day off would be an excellent move by landlords. It would improve quality of life and quite possible help improve tenant businesses. Here at Tower Systems our office s are all closed today. However, our after hours help desk phone as well as our senior management emergency numbers are all working. Verifying back to School catalogue files from suppliers. Working with suppliers on stock files to ensure coverage of new items. Helping retailers setup catalogue files for automatically handle seasonal pricing. Training users in how to use the software to handle class booklists. Helping retailers to track school supplies sales through loyalty facilities … for providing a rebate to the local school in appreciation. Helping retailers setup and manage Back to School outposts in shopping malls and other locations. Helping with the management of off-location warehouses for back to School suppliers and the sale of school supplies from pop-up retail situations. We have helped our customers in these and other ways to ensure not only that they extract the maximum value from the back to School season but also to help them better integrate their businesses with schools in their communities. Regardless of the season, Tower Systems can assist retailers to make the most of the opportunity by driving business, employee and customer efficiency. Auckland based retailers using our Point of Sale software are receiving free half day on-site face to face training visits this week. We have a team of four installation and training experts in town from Sydney and Melbourne undertaking the visits which have been scheduled with the retailers and their staff. By scheduling the visits in advance we have been able to ensure that business disruption is kept to a minimum and that everything is in place for each business to get the most o the opportunity. Auckland based jewellers, bike retailers and magazine retailers are all benefiting from the free training and support visits. Our people are equipped with the latest software for each. To ensure maximum benefit we will have two people at each visit. This will provide plenty of time at each location to ensure that the latest software is running and is properly configured and that the right people who rely on the software receive some professional training. It’s not often that businesses are given something for nothing in today’s world. We are thrilled to be in a position to deliver this for our Auckland New Zealand customers, to help them get more from our Point of Sale software. While some software companies are retreating from personal contact, Tower Systems is heading in the other direction by kicking 2012 off with more in-store and face to face contact opportunities. These Auckland based client visits continue a trend which started in Australia immediately after Christmas. The feedback from customers who have received a visit has been excellent. Our goal as a company in providing the visits is to help our customers get more form their use of our Point of Sale software. We know that in addition to helping them and their business, we benefit through the greater love our customers feel for us. We also know that it is our commitment to training and support long after selling a system that can really make a difference to a retail business. We are seeing a trend reflecting an increase in the use of loyalty marketing facilities by retailers. Across multiple specialist retail channels in which we serve more and more retailers are turning to loyalty marketing tools to better connect with shoppers and more valuably leverage business data. 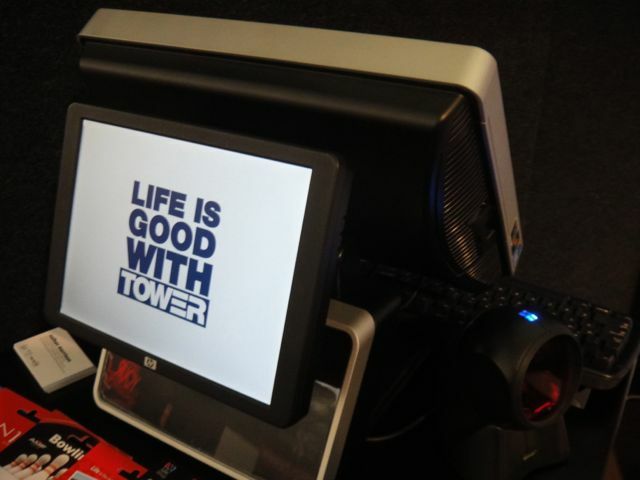 Tower Systems has offered loyalty marketing facilities in its Point of Sale software for many years. Over time, the facilities have been enhanced to serve evolving needs from existing customers. The latest trend which sees more retailers embrace loyalty is also seeing retailers become smarter in their use of the tools. For years some retailers have given away margin unnecessarily thinking that loyalty marketing is about discounting. Now that there is sound business data around adding value through loyalty tools retailers who partner with us are making smarter and more valuable loyalty related business decisions. ‘We are thrilled to be part of the trend which will see loyalty marketing tools become key in many retail businesses this year. 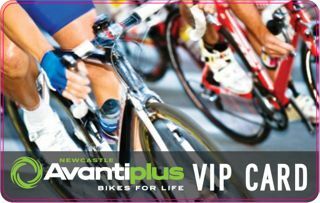 The photo shows a VIP card we developed for Avanti Plus in Newcastle. If you;re in the Newcastle area and in the market for a bike go check out their excellent range and wonderful customer service. We will be closed next Thursday, January 26, 2012, and embracing a day off to celebrate our national day. Our after hours help desk numbers will be live all day though. We will be sharing some of the retail insights gained over the last two weeks at the Consumer Electronics Show trade show in Las Vegas and the National Retail Federation Conference and Expo in New York. We had three representatives at these events and will leverage their insights and experiences for the benefit of Tower customers who come to the user meetings. The insights will also speak to software update plans and some other changes which our customers will see as the tower Systems offer evolves over the course of 2012. Mixing with retailers and retail experts from around the world tense past two weeks and more thoroughly informed our plans not only for 2012 but beyond. The experience in the US has provided us with valuable insights which we will leverage to a commercial difference not only for our company but for the businesses of those we serve. Click here to access the list on user meetings and to book online. We have been using social media to attract candidates for a new role and it is working a treat. While we have a campaign running through regular channels, it is the social media connection which is most interesting … and valuable given the typo of candidate we are seeking to attract. We have used blogging previously to attract candidates but never a platform such as Twitter. Tower Systems have been gearing up for an exciting year in retail by being at the forefront of major changes in shop floor and back office functionality. We are ensuring that we are in this position by investing considerably in connecting the senior management team of our company with experts overseas. Regulars here would have read of our participation in the National Retail Federation conference in New York this week as well as the Consumer Electronics Show in Las Vegas last week. These are just two events where we have connected with other companies like ours as well as much bigger players over the last six months, preparing for which is certain to be a year of opportunity. You have to be at events like these, the premier events of their type internationally, to be at the forefront. Our presence and participation provides us with a valuable competitive advantage which will be evident as 2012 develops. All Tower Systems team members will be briefed on the most recent learnings when plans for 2012 are shared internally over the next few weeks. In New York in particular we were able to connect with several suppliers and discuss in detail opportunities for the Australian marketplace in a first mover advantage way. While people will say retail is tough this year, smart people will laud the opportunities that this environment provides. That’s what we are doing here at Tower Systems. The retail sales counter is vitally important to every retail business. It is the hub of commercial activity and the place where you get to make the most important impressing on customers. Retailers who cut corners at the sales counter stand to lose business. Here at Tower Systems we don’t believe in cutting corners. This is why we recommend the Hewlett Packard all in one POS unit. It is strong, fast, perfectly designed for retail and easy to use. Importantly, this unit looks good. While there are cheaper all in one units, they are cheaper for a reason. Based on our research some of the cheaper all in one POS units are cheaper because they are not of the same standard, speed or quality of the HP unit. The sales counter is not a place for a retail business to cut corners. That we recommend a premium unit reflect our commitment to quality and our understanding that reliability has value to a retail business. 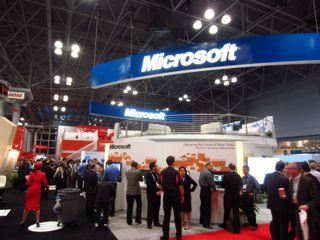 On the trade show floor today in New York three senior Tower Systems people are meeting with retail experts from Microsoft and a range of other companies in the latest retail-specific trade show of the year. With technology stands dominating 80% of the trade show floor space over three massive halls, our people are embracing the opportunities to share ideas, learn and engaged in discussions about how to help retailers build stronger and more valuable businesses. This is a once a year opportunity which is already delivering valuable rewards for Tower Systems and our retail customer community, rewards beyond our Point of Sale software. By the time the four day event is over we will have developed some excellent new connections and added considerable to our knowledge base.